← Congratulations to Sean O’Toole featured in the #1 Int’l Bestseller, The Real Estate Candy Shop! Congratulations to Dave Lindahl featured in the #1 Int’l Bestseller, The Real Estate Candy Shop! 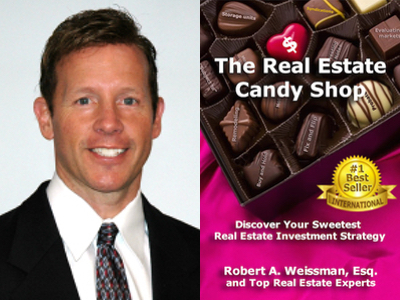 Discover Your Sweetest Real Estate Investment Strategy. David Lindahl has been successfully investing in apartment buildings and single-family homes for the last eighteen years. David is considered as the Nation’s Leading Expert in Buying and Selling Multi-Family and Self Storage Properties. Among his numerous accomplishments, David has authored many books and courses including: Emerging Real Estate Markets, Apartment House Riches, and The Real Estate Marketers’ Tool Kit. David is also known as the “Apartment King®.” He is the author of four popular, money-making home study courses: Apartment House Riches, How To Estimate And Renovate Houses for Huge Profits, Managing For Maximum Profits and The Real Estate Investors Marketing Tool Kit. Dave is co-author of his newest program, Self Storage Investing Riches.